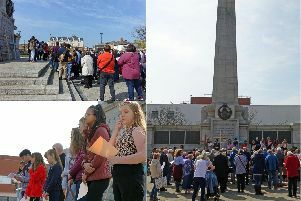 Young people in Hartlepool still have the chance to bid for grants of up to £1,000 to help them organise activities or events. Hartlepool Borough Council still has a limited amount of funding left, which must be used to benefit young people aged 13-19 or up to age 25 for those with special needs. The closing date for receipt of completed applications is Friday, February 19. Evening activities for youth organisations, equipment for sports activities, theatre and drama productions, community gardens, residential courses and specialist coaching and tuition are just some examples of previous projects or items for which grants have been given. Applications will be considered by a Grant Givers Panel made up of young people from across Hartlepool, and applicants (who must be from the above age groups) must be prepared to pitch their ideas to the panel at a special ‘Dragons’ Den’-type event which will be held in the first week in March. All ideas will be considered, but applicants should note that grants cannot be given to cover running/staffing costs. Council bosses are urging people to get their applications in and say the money will be allocated by the end of March. Helen White, participation manager in the council’s Standards, Engagement and Development Team, said: “These grants can help turn a good idea into reality, and are well worth applying for. “We welcome approaches from individuals or groups.